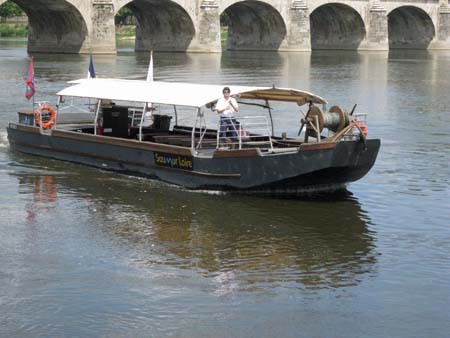 The River Loire, the longest in France, is a UNESCO World Heritage Site. Starting in the south of the country, high in the Cévennes mountain range it flows north then west and is fed by 100 tributaries along is route out into the Atlantic. Along the way it passes religious edifices, protected bird sanctuaries, ports, beautiful little villages, towns and cities, and several châteaux – the historical homes of former kings, queens and mistresses of kings. Not for nothing is it called The Valley of the Kings. 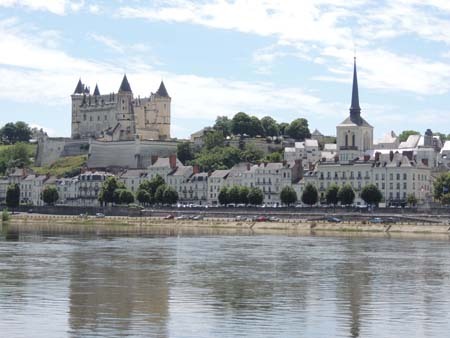 Along the western course the city of Saumur, built from the rich honey coloured local tuffeau stone, is a lively town in the heart of a wine-growing area, and home to well-known sparkling wine makers. It has a magnificent château, sixty listed churches, an old quarter, lots of restaurants and coffee shops. Place St-Pierre in the old quarter is easily accessible on foot from most of the car parks and the tourist office is on Quai Carnot. 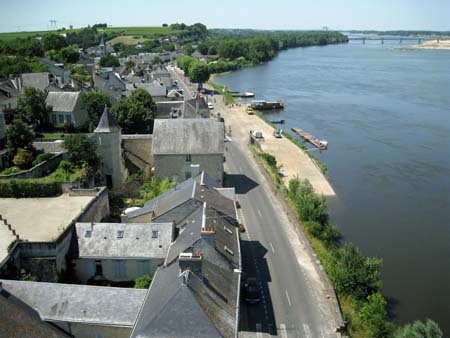 The views from château are superb, but for spectacular views of the river go to the château at Montsoreau. 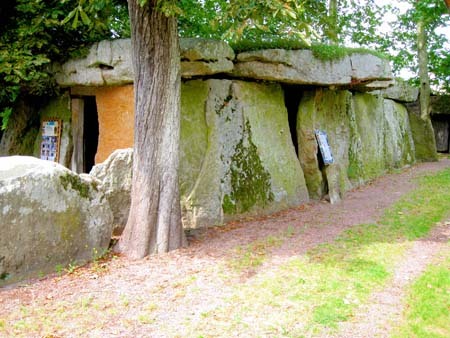 In Bagneaux, a suburb of Saumur, tucked away behind an unassuming bar called Le Dolmen, is a Neolithic burial chamber. Believed to be one of the most majestic French dolmens, it’s the largest of the 4,500 dolmens in France and is considered to be the largest dolmen in Europe. Measuring 23m x 7m and standing 3m high it’s built with 32 megaliths, the largest weighing 180 tons. It’s an astonishing site and location. Doué-la-Fontaine has a super zoo, which will keep the children happy for hours but if you like gardening, roses in particular then a visit to the rose gardens Les Chemins de la Rose, where more than 15,000 roses are grown can’t fail to impress you. There’s a simple tea-room serving snacks; do try the Rosewater syrup. 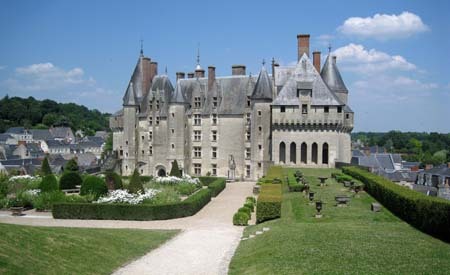 You can reach two key cities, Angers (say OnJay) and Tours easily either by rail from the station at Saumur where car parking is free, or by car. The drive east to Tours, along the D952 is worth the time it takes. If you take the train it doesn’t take long and the station is in the town centre. Tours is a very vibrant town, with its historic quarters radiating out from the south bank of the Loire. It suffered from some terrible bombardments during the Second World War, but these historic quarters have been carefully restored. The best shopping streets lead off from the Rue Nationale which divides the new city from the historic quarters. Tours has fascinating museums, the Musée des Beaux-Arts, or Fine Arts Museum, which occupies the majestic former bishops’ palace next to the cathedral, is impressive. 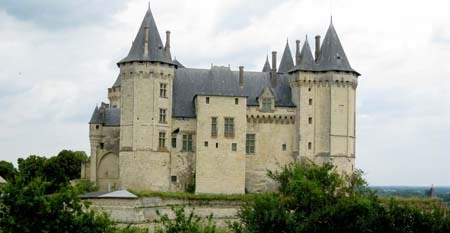 Other museums concentrate on the history of Tours and Touraine. You can visit Les Trois Tours, a traditional silk-weaving factory still in operation, but you need to book at the tourist office. The D 952 west and the D751 both lead to Angers, a thriving university town. The D751 is a very pretty route and allow yourself time to stop and admire the views of the river and the delightful villages en route. 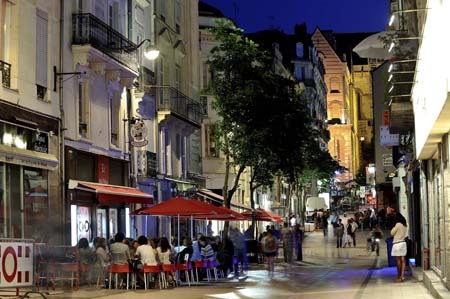 Angers is a thriving university modern town, with beautiful gardens and narrow old streets with timbered houses reflecting its historical heritage. Cointreau liqueur is made in the town from bitter and sweet orange peels and the distillery is open to the public. The Apocalypse Tapestry, a series of panels depicting biblical scenes from St John in the final book in the New Testament, was commissioned by King Louis 1 of Anjou and is on display on the castle. It dates from around 1375 and sadly it’s now incomplete and faded despite the atmospheric conditions in which it’s kept. Only about 100metres of the original 130 metres have been salvaged after the French Revolution. There are a number of areas dedicated to motor homes in and around Angers; there is one located about 800 metres from the castle and this is very handy and free for those who buy a city pass. Otherwise the cost is 4€ for 4 hours and 7€ for 10 hours. 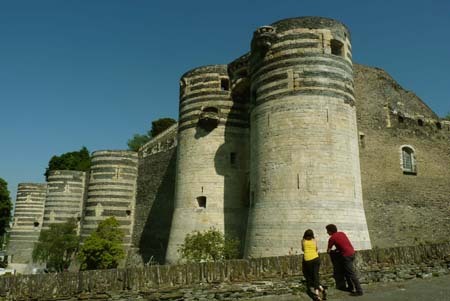 The castle is a massive imposing structure with 17 round towers. For those who have a bike, the Loire à vélo loop around Angers (following the Loire river, the Maine river and also crossing slate quarries) is perfect; there are plenty of places to stop and on a good weather day, a picnic is perfect. There’s more information and activity ideas on the Touraine Loire Valley website. We offer European cover for 180 days with the option to extend up to 240 days, find out more about our caravan insurance policy. English is spoken at the tourist offices in all three cities.